revitalize aging wind turbines. It is capable of changing the energy landscape with a design that delivers a cost-effective solution and higher revenues over a longer period of time utilizing a larger wind envelope than existing wind turbines and repair options. generation at the highest availabilities while at the same time supporting comprehensive remote monitoring and real-time control including full diagnostic and data collection capabilities. 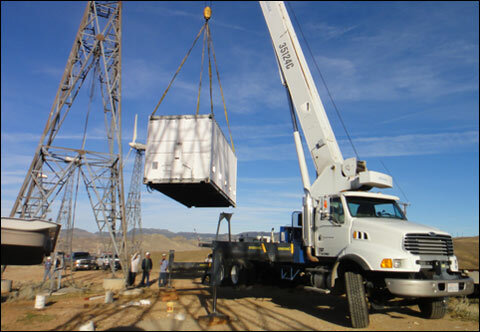 The system’s unique modular design, coupled with the use of field-proven components and ISO 9000 manufacturing standards, ensures the highest level of reliability and cost-effective operation of the Windera generator over its entire service life. 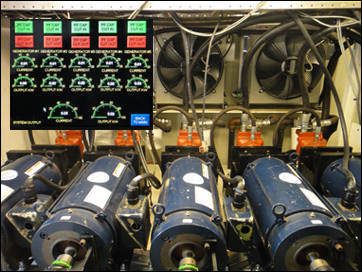 Additionally, Windera’s revolutionary hydraulic drive-train design and integrated real- time control and monitoring system enable the Windera system to produce substantially more electricity over a wider range of input conditions as compared to existing fixed- speed generators. The direct-drive configuration eliminates the need for a gearbox which substantially lowers wind farm owners’ operations and maintenance costs. Power conditioning and interconnection to the electric grid is managed by the hydraulic drive train’s control and monitoring system which ensures the delivery of highly-stable power under the most adverse conditions and full compliance to grid codes.